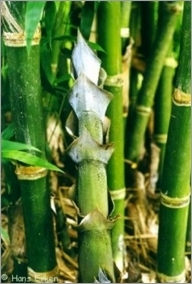 The Bambusa tulda can be found in the biome of the Southeast Asian rainforest. It often grows as an undergrowth scattered or in patches in the forest. It does very well in a moist environment with a lot of rainfall. It likes temperatures between 40 degrees Fahrenheit and 100 degrees Fahrenheit. Rainforests get around 100 inches of rain per year. Rainforests are found mainly around the equator. They hold many varieties of plants and animals. The vegetation in rainforests grows in layers. Some of the layers get sunlight, but the bottom layers get little or no sunlight.